Alice in Central Park — Statues in Wonderland introduces the reader to all of the statues throughout Central Park in New York City. 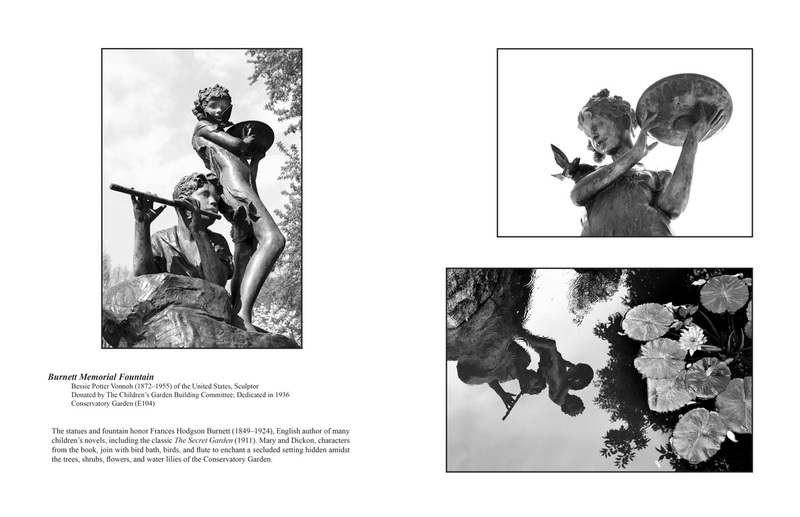 Photographs focus on the statues, minimizing distractions in the foreground and background. 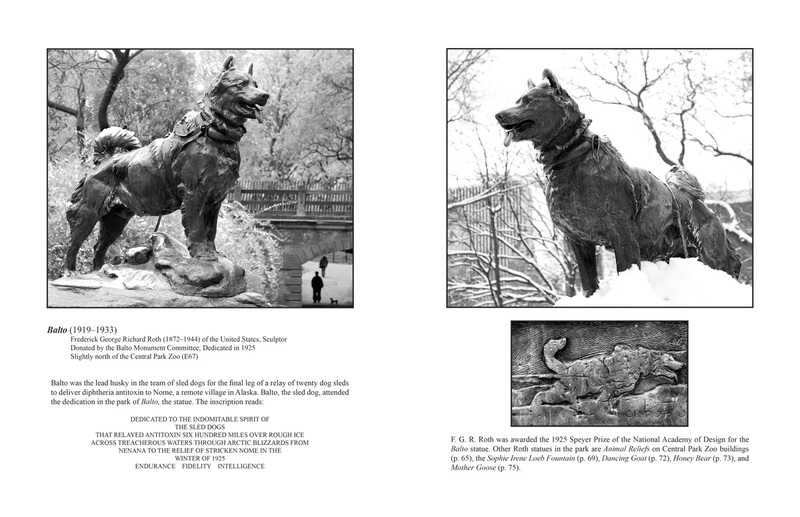 Text identifies the subject, sculptor, donor, and location of each statue, with historical comment. The statues appear in the order of their dedication in Central Park, beginning with the 1859 bust of German poet Johann C. F. von Schiller and ending with the 2011 statue of Frederick Douglass, the African American abolitionist. Samuel F. B. Morse, the inventor of the Morse code, is both a donor of one statue and the subject of another. 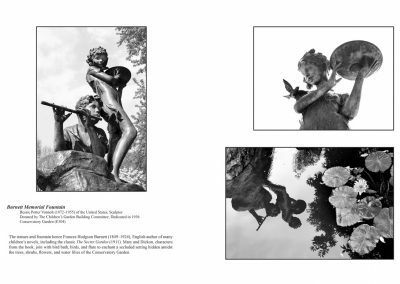 The book tells the stories of all statues in the park through the lens of Mudge’s camera and the whimsy of Alice, from Alice in Wonderland, of whom there are two statues in the park. 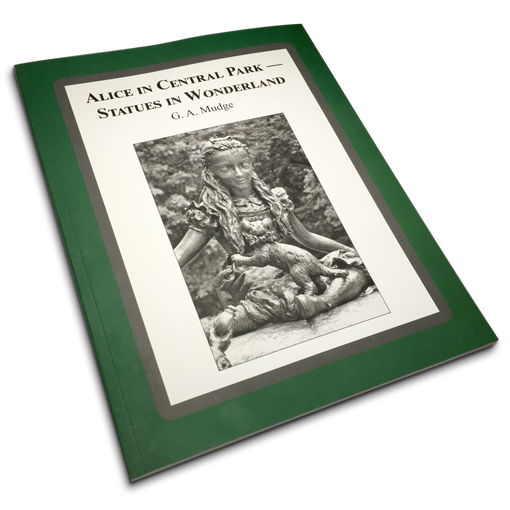 Alice in Central Park is a book for young and old, visitors to the park, students of sculpture, photography and the park, and Lewis Carroll enthusiasts, who will be fascinated by the greatest concentration of Carrollian statuary in the world. 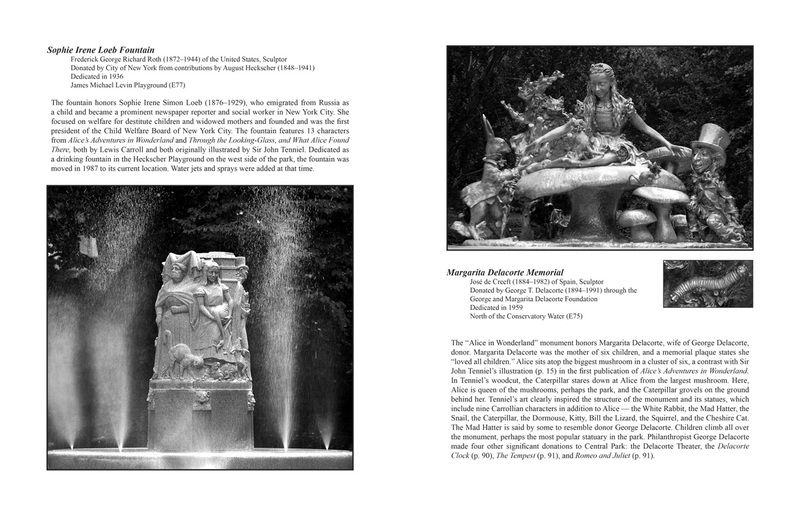 Alice in Central Park contains 150 photographs of statues in the park and recommends six walks to meet the statues face-to-face in Central Park. Now available in store at CityStore, the Dairy in Central Park, and the Museum of the City of New York. Wholesalers and book sellers, please contact us for more information. Copyright © G. A. Mudge. All rights reserved. I am a Central Park tour guide, volunteering for the Central Park Conservancy. 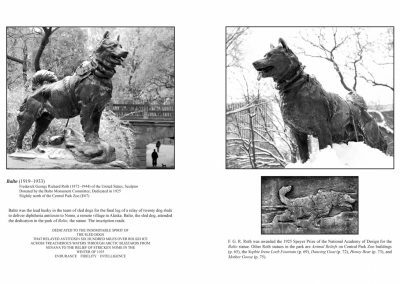 Your book is a very important book containing your wonderful pictures and information that those of us who spend time focusing on, and thinking and talking about, the Park have been looking for. I will tout the book to the tour guides and CPC personnel administering the Park’s volunteer programs. Thank you for writing the book. Mudge’s photograph of Alice looking fondly down at Kitty on the cover of the book is an example of the extraordinarily lifelike quality Mudge has imparted to his subjects. Through the power of his lens, he has managed to transform stone and metal into flesh and blood. I’ll add my own few words by praising the wonderful photos and the charming introduction to all the statues in Central Park, each identified by subject, sculptor, donor, and location in the park with comments, telling the story of each statue through the point of view of Alice herself of whom there are two statues in the park (she’s the only one so honored!). Meet, among other favorites, Shakespeare, Sir Walter Scott, Beethoven, and a Dancing Goat, as well as Hans Christian Andersen, a Group of Bears, Duke Ellington, and (the most recent) Frederick Douglass. 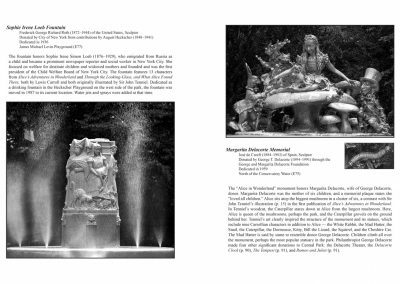 In a Preface, Moby suggests a way to study and understand the statues in Central Park as Alice recommends, take six walks to meet the statues; the Mad Hatter suggests conversations with those statues. Moby goes on to suggest, in the voice of the statues, that visitors sing a song, hum a symphony, mush a dogsled, read a poem and attach personal meaning to each statue — to fall down a rabbit hole into the wonderland of Central Park, to step through a looking glass into a mirror world of inversion and imagine, pretend, dance, explore, fantasize, and discover. In my own more humble words, I simply urge you to own and love this book. My copy is already amply broken-in by a seven-year-old devotée of Alice and of Central Park. Fotobs Books provides custom and confidential photographic, writing and documentation services. Clients include individuals, families and charitable organizations.